Experts on a NASA advisory board have expressed concerns about SpaceX’s plan to fuel Falcon 9 with astronauts aboard. 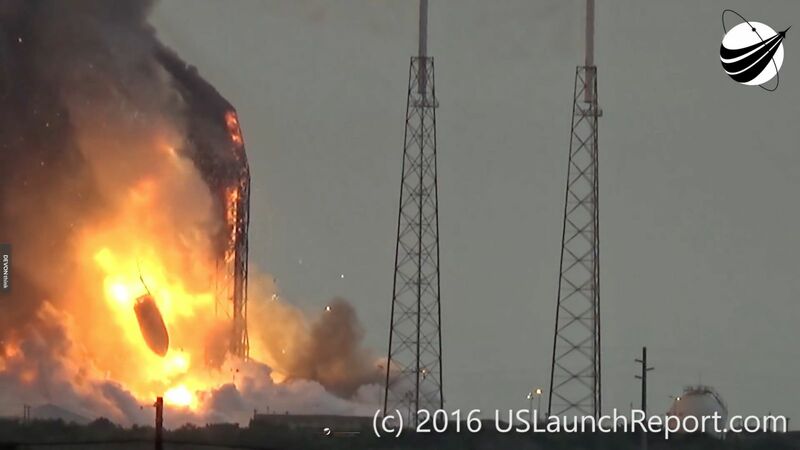 The safety advisory springs, in part, from the explosion of a Falcon 9 rocket during a static test on September 1. There is a unanimous, and strong, feeling by the committee that scheduling the crew to be on board the Dragon spacecraft prior to loading oxidizer into the rocket is contrary to booster safety criteria that has been in place for over 50 years, both in this comttry and internationally. Historically, neither the crew nor any other personnel have ever been allowed in or near the booster during fueling. Only after the booster is fully fueled and stabilized are the few essential people allowed near it. The Los Angeles Times reported that this recommendation would not affect SpaceX’s progression returning to flight. However, it could delay the company’s plans to launch astronauts to the space station under the Commercial Crew Program. Members of the eight-member Advisory Committee includes veterans of NASA’s Gemini, Apollo, and Space Shuttle programs. The Committee noted that all previous space launch vehicles carrying people have been fueled before astronauts got to the launch pad. Independent advisory groups provide input on commercial crew safety considerations, among which the Aerospace Safety Advisory Panel is the primary independent adviser for commercial crew activity. Other groups, such as the ISS Advisory Committee, also seek information, and we treat all inquiries seriously. The ISS Advisory committee focuses on the International Space Station and international systems. As needed, any additional controls will be put in place to ensure crew safety, from the moment the astronauts reach the pad, through fueling, launch, and spaceflight, and until they are brought safely home. Shotwell also expressed confidence that SpaceX was planning to return to flight by the end of this year. SpaceX? The Saturn was a mean rocket. Got us to the moon. Maybe Musk can get some Estes model rockets first and learn how to fly them before he make any plans to go to Mars. Don’t you think. You don’t think. You have absolutely no idea what SpaceX has accomplished so far, do you? Despite this, you still posted your ignorant comment that doesn’t even mention the contents of the article. Back during Apollo, I remember thinking how risky is was to deliver the crew to a fully-fueled rocket, and even wondering why the fueling could not have been done after the crew was safely within their capsule…which is also an escape capsule. NASA’s process was no doubt the result of a risk analysis…and their luck held. But as Apollo 1 showed, it is hard to think of every contingency. I suspect the Falcon loss will result in a few very positive changes that will increase crew safety, but that same loss also highlights the risk of having personnel – crew and support – around a fully-fueled booster without a means to escape an instantaneous event. There’s far more stability around a fully fueled rocket than being around a rocket that is actively being fueled. As far as Apollo 1, there was plenty of managerial negligence to blame for the accident and there is no need to continue such negligence by being aboard a rocket while it is in the process of being fueled. Let Gwen Shotwell ride on the first Dragon 2 flight in order to prove the process. SpaceX Falcon 9 rockets depend on fuel densification in order to allow recovery of the first stage, which seems to be at odds with the NASA requirements. Fueling takes place right up to T minus 2 minutes, in order to maintain maximum performance of the vehicle. We’ve entered a new era of space vehicle construction, performance, and procedures. What was suitable 50 years ago during the Apollo program should provide some guidance but not impair advances in techniques. This is analogous to requiring that we tighten the bridle on the horse before slipping behind the wheel of the new BMW.